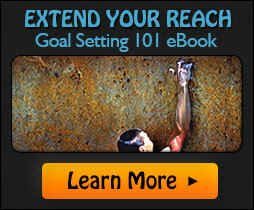 Everything Counts is a Powerful and Unforgettable Training Program that Works! Speaking and training worldwide more than 100 times a year, Gary inspires, promotes and celebrates excellence by delivering an unforgettable message that reminds everyone that everything they do regardless of size or intent has bottom line consequences and that attention to detail is the calling card of greatness. His Everything Counts message demonstrates how small differences can make big and lasting contributions that impact your companies reputation, customer loyalty, brand perception and staff morale. If you’re looking to raise the bar and truly committed to making excellence a core value and sustainable competitive advantage than book Gary today to as the demand for this program is growing by the day. Everything Counts! is our premier training offering. Designed for everyone within your organization or team, this intensive half-day or full-day course is guaranteed to get you to the next level in performance. Unlike any other training program, this world-class program is designed to strategically help participants become more productive and effective in every aspect of their career and life. In this multi-disciplinary course, participants will learn directly from a highly credentialized expert, Gary Ryan Blair who has worked with thousands of top performers throughout the world to develop specific performance rituals that drive excellence and which support personal and professional goals. A high emphasis is placed on excellence, quality, attention to detail, goal setting, focus and powerful execution strategies which will keep everyone excited, engaged, and inspired to reach for ever higher levels of growth and overall productivity. Identify and empower behaviors that support excellence while removing anything that detracts from that objective. Achieve dramatic performance breakthroughs which add to your value as an employee. How sweating the small stuff impacts quality, excellence and your reputation. Align goal setting strategies and action plans with organizational values and mission. Embrace excellence as a core value and sustainable competitive advantage. Develop concrete guidelines on how to hold yourself accountable for results. Learn focusing techniques that allow you to get more done on a daily basis. Expose people to the look, feel, sound, taste and touch of excellence. Everything Counts is offered in two formats: half and full-day. To arrange for an Everything Counts training program, please fill out the form below. Once submitted, someone from our office will touch base with you promptly. Please explain your specific training objectives. Please describe the event and the attendees. Enter the validation text shown.